Apple has finalized a deal to acquire Workflow today — a tool that lets you hook together apps and functions within apps in strings of commands to automate tasks. We’ve been tracking this one for a while but were able to confirm just now that the ink on the deal is drying as we speak. I haven’t been able to get financial details for the deal, but if I come up with them I’ll update. As far as I know it was a solid payday for the team and small upside for investors. Workflow had raised an unannounced seed round of what we’re hearing was in the range of a couple million from Lowercase, Eniac and General Catalyst. The app was made by a small team that includes Ari Weinstein, a former iPhone jailbreaker. I’ve been following his efforts since the iPod Linux days and covered his very useful DeskConnect app a few years back. 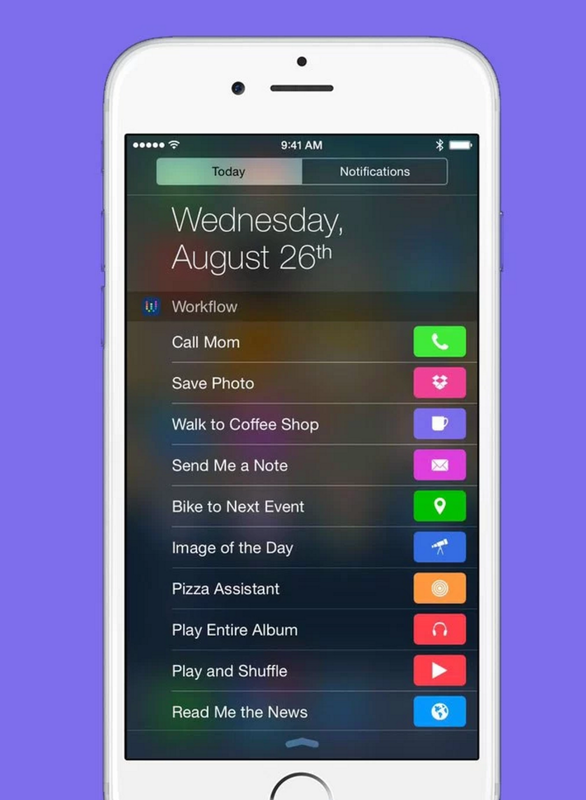 Workflow has been around for a couple of years and we’ve covered it and its updates. It shares some similarity with the service IFTTT, in that it allows people to group together a bunch of actions that can allow them to perform complicated tasks with one tap. It had built up a sizeable number of users and downloads over the past few years. This is not a “pure acqui-hire” in that Workflow — not just the talent — is being purchased in this deal. This makes sense, and I’m glad to see it because Workflow itself was a prime meat example of how to find a need in the iOS ecosystem, tackle it in an interesting way and execute it with cleverness and attention to honoring the platform. Simply put, it’s super smart, really well designed and works very well. The accessibility features of Workflow are super impressive, especially for an app that is a tool for building complicated macros. It would have been much easier to say hey, this is for heavy users, maybe we don’t need to make sure it’s 100 percent accessible — but they didn’t, and they won a bunch of awards (and an exit) for their trouble. 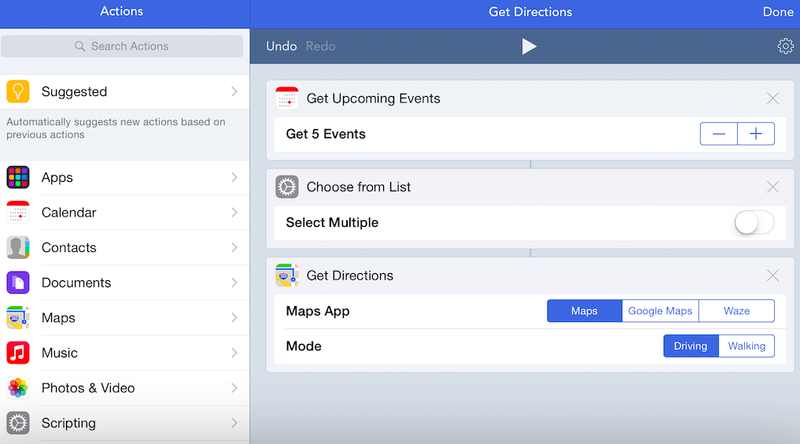 Workflow’s existing integrations with apps are extensive and will continue to be updated. You can see some of the pretty intense capabilities of the app in this post from Federico Viticci, a workflow maniac. For you super nerds, this news could be a nice treat given the recent-ish departure of legend Sal Saghoian, Apple’s automation Czar, and the elimination of his position. Some folks had taken this as a signal that Apple was no longer interested in the automation category. The special sauce of Workflow is that it enables users to dip into specific “deep linked” functions of individual apps and connect those actions together into a string of seamless, invisible commands. If that sounds familiar, you might be thinking of the budding Siri API — which will only be getting more beefy as time goes on. If you spool out the thread here it’s not hard to see Workflow being integrated heavily with Siri, allowing even more seamless activation and composition of actions now that the team has access to Apple’s private APIs, which are more robust than the tiny bit of Siri that’s public so far. There are also great opportunities here to offer value-add “power user” capabilities to the iPad ecosystem. Apple’s efforts to get people to see the iPhone, iPad and even Apple Watch ecosystem as something that can be used for many light-to-medium tasks could be bolstered here. The Workflow app for Apple Watch is especially clever and a nice organic fit — I’ve long been a proponent of the “1.5 seconds or bust” interaction model with Apple Watch. Workflow’s “endpoint” is a single tap or automated action that can “hide” a complex system of commands or interactions underneath it — ideal for Apple Watch. Workflow’s acquisition is a fairly crisp example of the kinds of app successes that have become a bit more muddied in this age of services. A small, clever team (that were one-time WWDC student scholarship recipients) built a tool so useful on iOS that Apple itself essentially copped that they couldn’t do it better and bought it. It will be interesting to see where it goes from here.